The word KELO is Finnish and means ”snag,” which refers to a standing old and dead, dried-out, silver-grey tree. One will find them in the ancient places of our vast Finnish forests. For us, they impart a sense of ancient wilderness, myth, Northernness, and tradition. Our Arctic KELO was first introduced in 2008 and has become one of the most famous options for our guitars. Like our ARCTICIA, the KELO represents a particular finish/option and is a series rather than a separate model. The Arctic KELO image is therefore available for all our models. The woods used for this series are maple, birch, and alder. We use our own special technique and “recipes” to make the wood look like original, old KELO wood. If desired, the hardware we combine with it can also be treated to look aged or rusted so that it perfectly fits with the full image of the instrument. 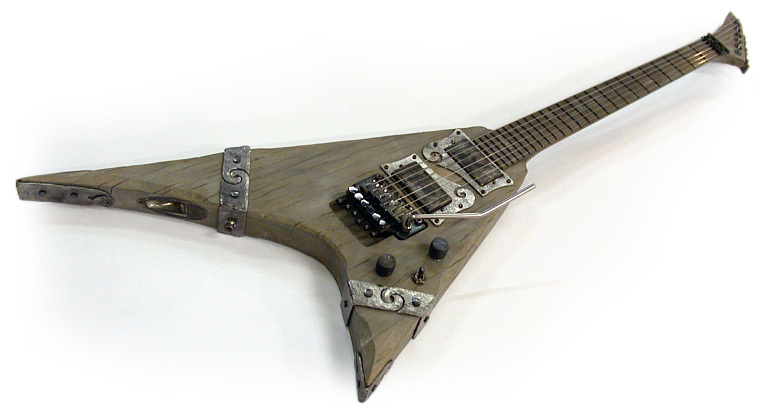 You can order a KELO series instrument with special handmade metal ornaments, such as those of this ROUTA KELO here, for example. All hand-forged custom parts (cover plates, pickup rings, etc.) are made by a professional blacksmith and designed according to your wishes. We also offer our KELO series without special metal ornaments. 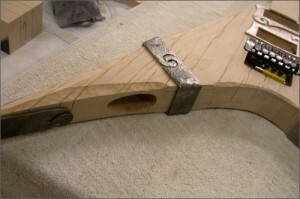 In such instruments, the cover plates and pickup rings are usually made of wood, typically of the same KELO finish. Alternatively, you can also choose plastic, and if you don’t want them bare, we can give them a perfectly matching paint or painting. 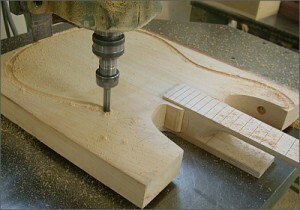 The KELO finish option can also be chosen for only part of the instrument, such as top, fingerboard, or head face, for example. There are plenty of other cool custom options, such as rusted bolts and screws, burned or ”mushroom” effects, armour, and whatever else comes to your mind. Just let us know!